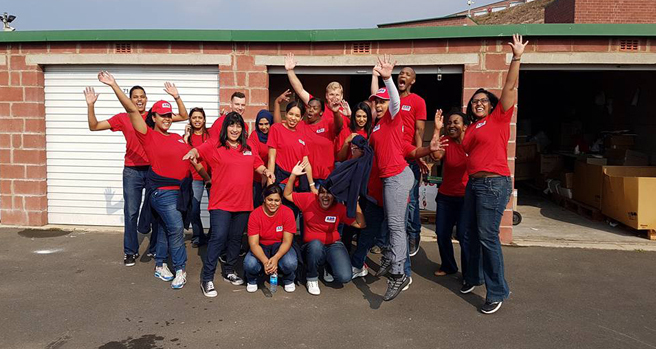 What a fast, fun and energetic way to spend the morning – with 20 enthusiastic and quite awesome volunteers from the ARB Electrical Wholesalers team – giving back and packing for our BIG Mandela Day Gogo bag distribution! 20 volunteers split into 2 teams racing each other and packed 331 Gogo bags with an actual packing time of a CRAZY 39 minutes! What a feat! That is about 8 Gogo bags per minute and nearly 4 tons of stock! 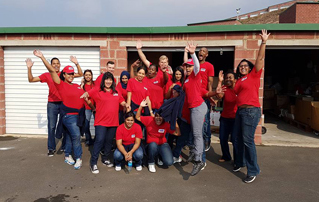 Thank you, ARB Electrical Wholesalers for your generous and continued support of our causes and some of your team’s time today! A lot of wonderful Gogo bags filled this morning for our upcoming MANDELA WEEK of projects with much camaraderie and laughter! What a great team with incredible hearts for the community!